the lovely ladies at Soya Marketing approached me back in February to work with them on a project for Pacific Centre. Pacific Centre launched their brand new Facebook page today and Soya wanted to showcase fashionable downtown Vancouverites. 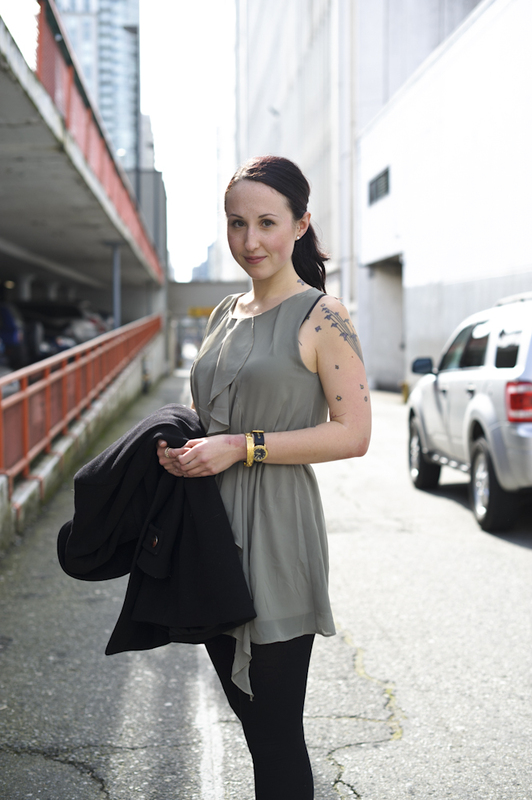 for the next 30 days the Facebook page will post a new picture of a fashionable Vancouverite. i will admit, i was quite excited to play The Sartorialist for a few weeks. i have always loved the fashion and images that Scott Schuman captures around the world. i now know the draw of being able to do that all the time. wondering around a city, looking for the best dressed is a pretty awesome job! day one features Zoe in an H&M dress. found her with a mass amount of shopping bags. she was kind enough to drop all of her bags, take off her jacket and give me a super cute smile! thanks Zoe! check out Pacific Centre’s new Facebook page as well. if you ‘Like’ it, you’ll be updated with the newest images over the next 30 days. maybe you’ll even see yourself!